Includes V2.0 Templates Only! If your store is built using Editor V3.0 then this e-book is not relevant for your store. Please Note: This book does not contain a reference on the RTML language nor does it tell you how to modify templates. If you need an RTML resource, you should consider our "RTML 101: The Unofficial Guide to Yahoo! 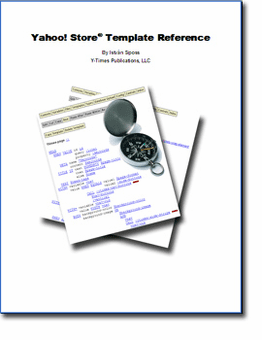 Store Templates". Requires Version 5 or higher of the Adobe Acrobat Reader available free of charge. Click the logo below to get Acrobat.